Affiliated with the Veranda Inn, the beautiful and historic Arnold-Stoker Home has been in the Fenoglio family for generations, and once was a noted area boarding house. 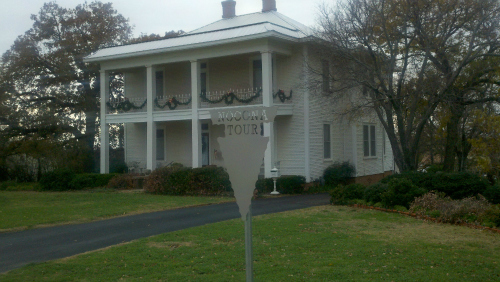 Now fully restored, and part of the Nocona Historic Home Tour, the 106 year-old, two-story home features 5 bedrooms and 2 bathrooms, all decorated with period antique furniture. Continental breakfast served. Parking available at the rear of the home.